The legal battle stems from an October 2013 incident in which Camille Grammer alleges her ex-boyfriend assaulted her in a Houston hotel room after they got in an argument. The defamation trial is U.S. District Judge Karen Gren Scholer’s second jury trial since joining the bench last year. Natalie Posgate is in the courtroom. 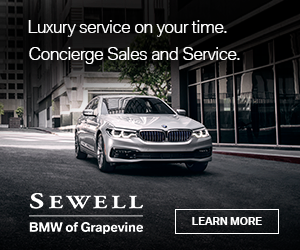 A state district judge in Harris County has ordered two former executives of a Superior Energy subsidiary to pay $72 million, after a jury ruled in December that they committed fraud, breached their fiduciary duties and misappropriated trade secrets against their former company. Natalie Posgate reports. In 2015, when Richard Rosenberg became board president of the 65-year-old Center in Houston, the nonprofit was a mess. It had no cash reserves, a $6 million debt and its deteriorated campuses had been badly punished by Hurricane Harvey. 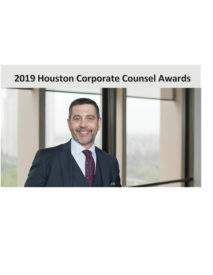 Flash forward the loan is paid, the campuses are flourishing and Rosenberg, GC of Houston’s U.S. Zinc, is sole finalist and worthy winner in the Public Service category of the 2019 Corporate Counsel Awards. 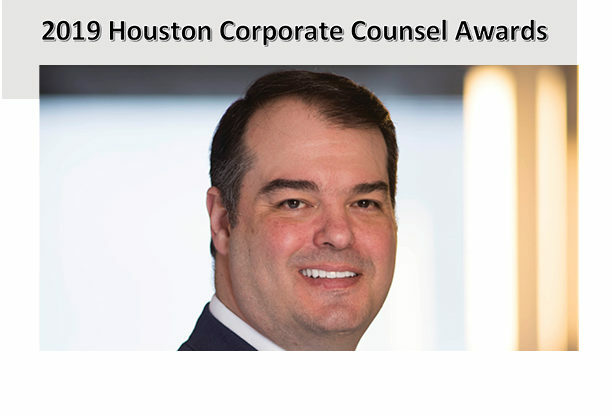 One of Kevin Feeney’s first issues when he became Shell Oil senior counsel of upstream litigation was a $200 million arbitration. After a 250,000 document dump and a 17-day hearing, Shell walked away with a take-nothing judgment in their favor. 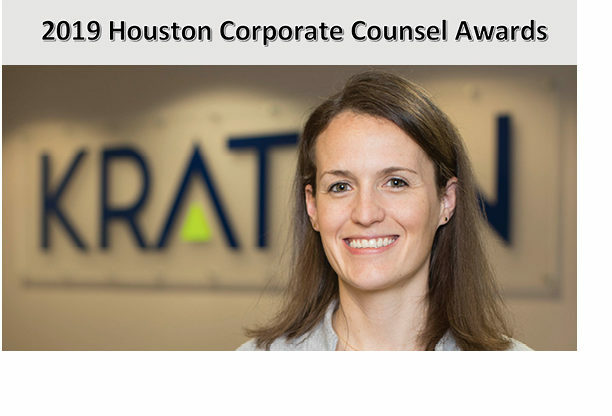 Natalie Posgate profiles the deal, which is a finalist for the 2019 Corporate Counsel Awards Business Litigation of the Year. A Dallas judge has declined to dismiss a lawsuit by Neiman Marcus that alleges hedge fund Marble Ridge Capital hurt its business by issuing defamatory and false statements about Neiman being in default with its indentures. With the Forest Park Medical Center case now in the hands of the jury, white collar veteran Ed Tomko may have seen his final trial. As a veteran prosecutor and well-regarded defense attorney, Tomko has witnessed much from both sides. 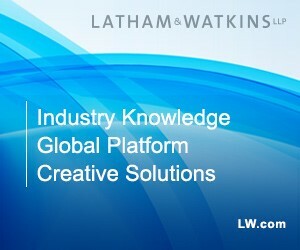 He shares his insights in a sit-down with Lawbook litigation writer Natalie Posgate. 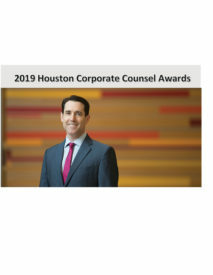 After a week of perfect spring weather, a 20-year anniversary and a $15 million coda to a fraud trial that had lasted nearly a fortnight, Houston lawyer Jared Levinthal was ready to celebrate a very, very good week. The unanimous verdict does far more than exonerate Range from the $17.5 million that the plaintiff royalty owners had sought. The verdict also marks the first time in 21 years for a producer to win a case tied to Oklahoma’s marketable product rule. 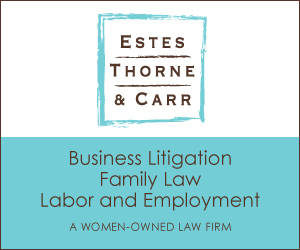 Litigation writer Natalie Posgate explains. What began as a bitter legal dispute between Kainos Capital and one of its co-founders exploded into a bitter full-fledged feud Tuesday after the Dallas private equity firm filed a countersuit in Delaware. The company alleges that the original suit, filed by one of its co-founders, was timed to inflict as much damage on Kainos as possible. Natalie Posgate explains. (Editor’s Note: this is an in-depth update from an earlier version of the article). A Texas judge is considering whether she should end the legal battle between Neiman Marcus and Marble Ridge Capital or further entertain the possibility that the hedge fund issued defamatory statements about Neiman Marcus that hurt its business.